Avoiding Mainstream Comfort?! | | Quiet Lunch. Photo Courtesy of Theroretical Psychology. In refusing to conform are they in fact conforming? Theophilus London was a bonafide hipster known in the NYC area, look at where is he now… rubbing elbows with other celebs that are on his ‘new found level’ or greater. He is reaching for the stars and has made a name for himself in the fashion world as well as the music world. So back to the original question… was he on his own path to ‘Originalism’ or was he just another crab in the barrel trying to get out? Essentially, we are all crabs in the barrel and we are controlled, whether we like it or not, via ‘Social Media.’ Just listen to the lyrics of all these songs on the radio… Our point, dig DEEPER to be true a Original until then it’s all mainstream. 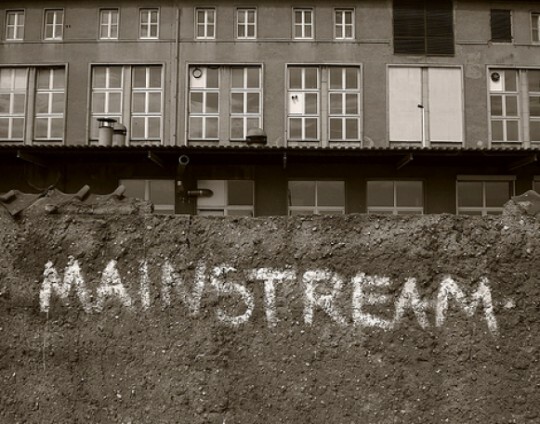 Mainstream definition: The prevailing current or direction of a movement or influence.